This smart, solid Russell Hobbs self basting roaster is a staple for any cookware set and can be used to cook a delicious roast dinner, while the lid keeps the meat or vegetables moist and tasty. 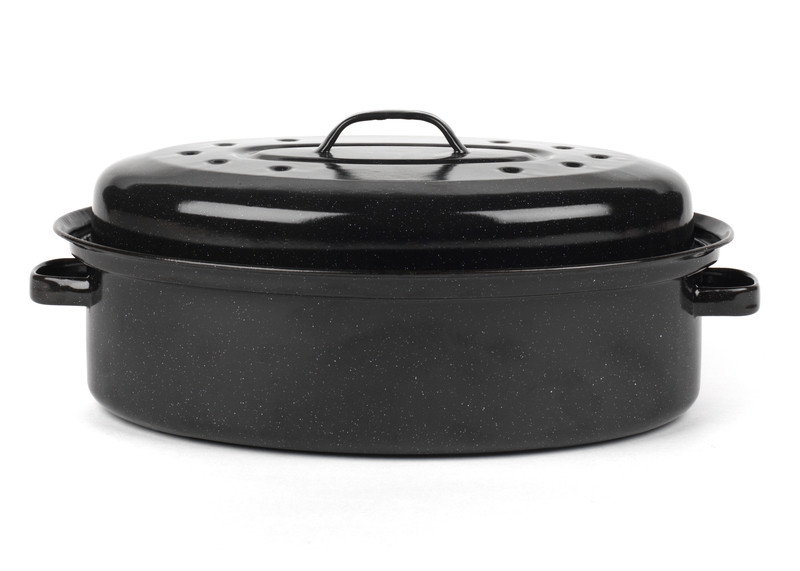 Made from strong steel with a black speckled vitreous enamel coating, it is incredibly durable, easy to clean and will not stain or discolour with use. 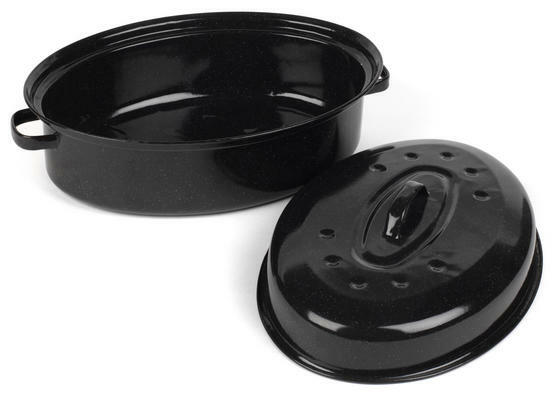 Suitable for use up to 220° in all standard gas and electric ovens, it is long lasting and versatile so you can enjoy simple, hassle free cooking. 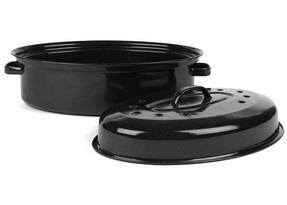 This brilliant Russell Hobbs roaster and lid are made from long lasting steel with a smart looking and durable vitreous enamel coating. 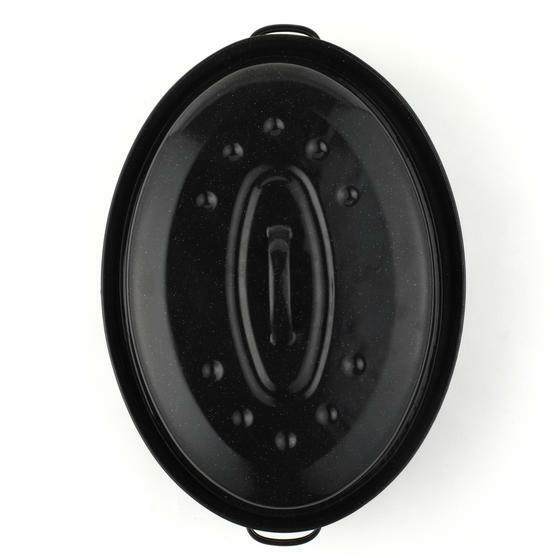 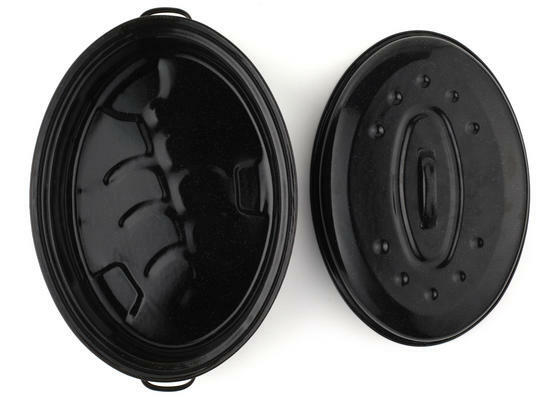 Ideal for use with all standard gas and electric ovens, the roaster and lid are suitable for oven use up to a fantastic 230°. 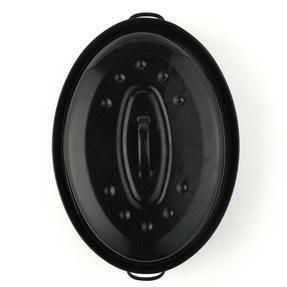 Measuring a conveniently sized 36 cm, the roaster can hold a large amount and should easily fit into most ovens. The black speckled vitreous enamel coating looks wonderfully smart, will not stain or discolour and is fabulously easy to clean. 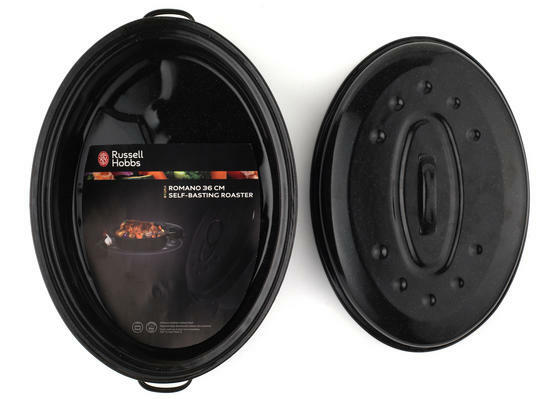 The roaster can be used to cook a huge array of foods and will keep your meat basted throughout the cooking process for a tender roast.